The EXP 10 Speed 6 features a metallic British Racing Green paint job and a copper colored leather interior. Its front-end is dominated by a two-piece, metallic egg-grate pattern grille and futuristic styled quad headlights, a look that is reminiscent of the current Continental GT but clearly more aggressive. The long hood, sculpted-sides, significantly flared rear-end, and huge 5-spoke blade-style wheels – make for a muscular stance that tells you this is a performance car (beyond the current Bentley Continental GT). Entering the car is done through swan-wing doors (that open more at a 45-degree angle than scissor doors which open closer to a 90-degree angle). Once inside the cabin, you will recognize the signature diamond quilted pattern seats, in a rich copper color. On the dashboard, instead of traditional gauges, Bentley went with a modern digital gauge cluster and 12″ tablet style display in the center, which is appropriate considering this concept is supposed to be based on a hybrid motor. 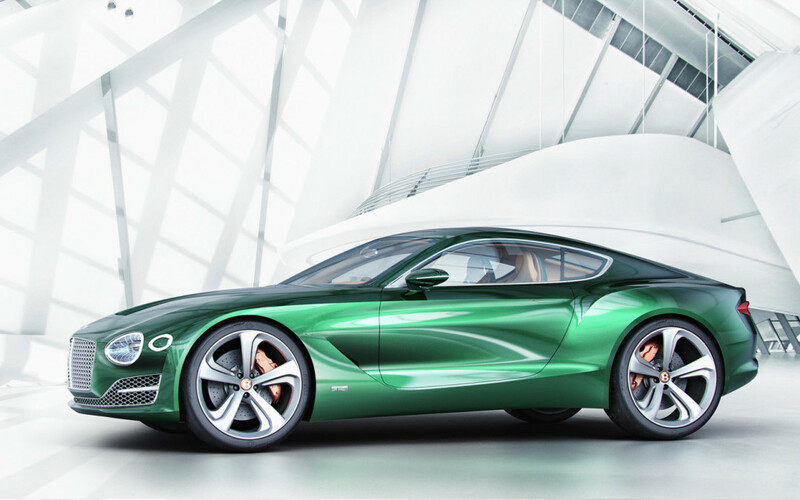 No confirmation if the coupe will ever go into production, although it would be hard to imagine Bentley not at least using some of these ideas in future cars.